A Most Curious Wedding Fair Blog: WHATS HAPPENING AND WHEN? This weekend at Most Curious Wedding Fair 2017 LONDON! WHATS HAPPENING AND WHEN? 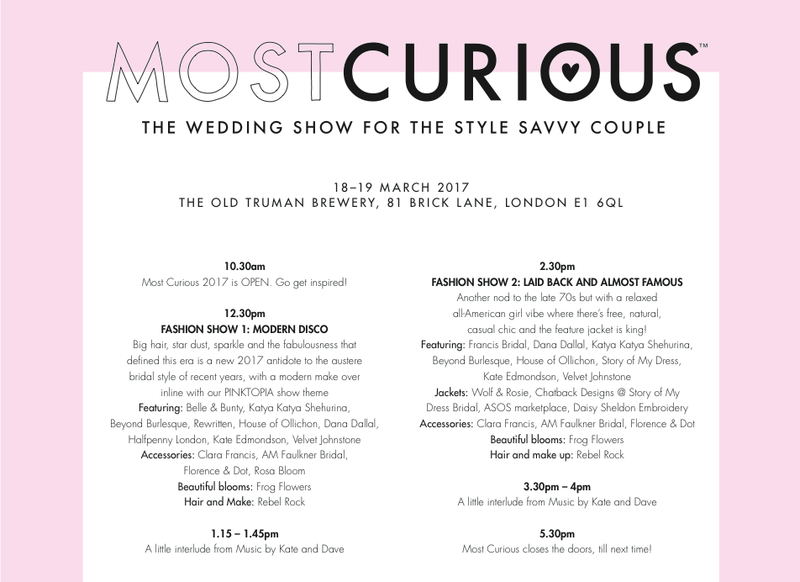 This weekend at Most Curious Wedding Fair 2017 LONDON! Here you go guys the running order of the days and who's doing what and where! We are excited!! 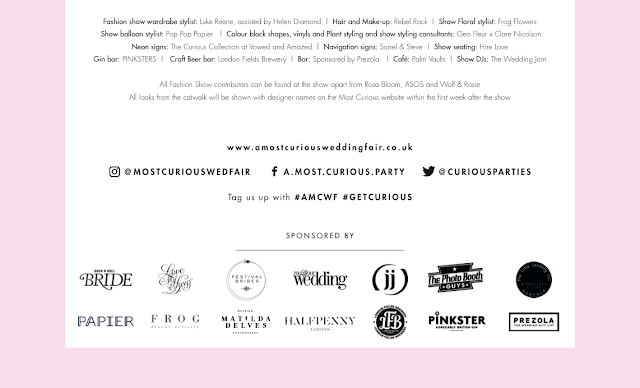 VIP tickets can only be bought online before you arrive as we need to make sure we have made up your special goody bag! 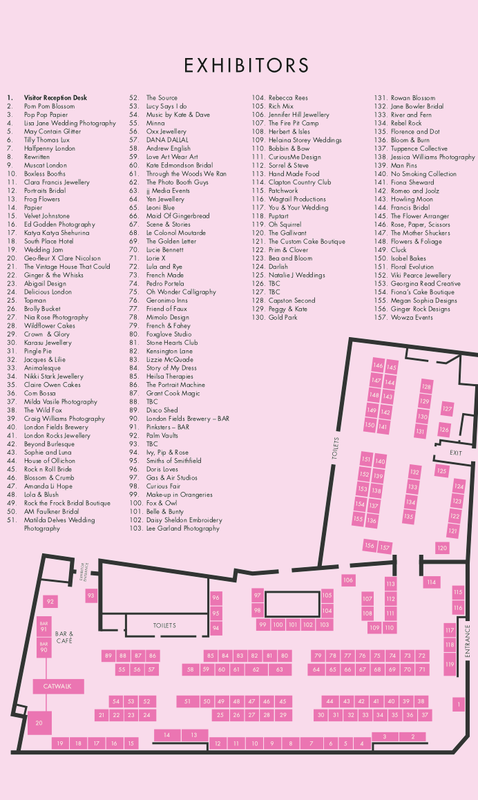 Saturday VIP tickets are nearly completely sold out so get in quick if you want complimentary drinks, cakey goodness, reserved fashion show seating and a goody bag of treats to go with the chance to see 160 top exhibitors, fashion shows and live music.